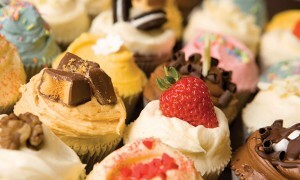 Cupcakes.co.uk brings you the very best cupcake recipes in UK.Situated in the heart of London, we list new delicious cupcake recipes and ideas every day of the week. Whether you’re looking to improve your baking skills, cake decorating, learn a new cupcake recipe or simply enjoy doing something different, our cupcake recipes are a fun way to take you to the next level. Our cupcake recipes change on a daily basis – just one more reason to visit us every day!